It's very satisfying when we find something that looks great; is totally practical; works brilliantly; can be sold at a reasonable price. Well, here it is! 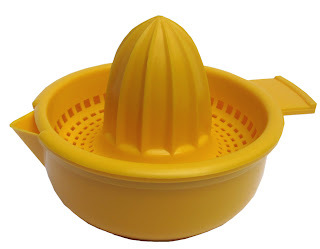 Portuguese Citrus Fruit Squeezer: 4.00 UKP (Also available in white).